The Loudoun Water Cross-Connection Backflow Program is responsible for protecting the water distribution system from potential hazards caused by cross-connections of non-potable water systems. Loudoun Water is committed to ensuring tap water is safe to drink, which according to Federal and State regulations, requires backflow preventers be tested annually by a certified tester to make sure it is adequately working. Backflow prevention protects both the customer’s drinking water pipes in their home as well as the water mains in the streets. Otherwise, if a drop-in pressure occurs, any connection to a non-potable source could be siphoned back into the customer’s home or Loudoun Water’s service line, which is dangerous. The only way to prevent such incidents from occurring and to maintain safe drinking water is to use a backflow prevention device that is correctly installed and maintained properly. A cross-connection is a temporary or permanent connection between a potable (drinking) water supply and a non-potable source (fire suppression system, irrigation system). Backflow is the undesirable reversal of the flow of water from its intended direction. Backflow is dangerous because it can allow drinking water in plumbing systems to become contaminated and unusable. As a homeowner why do I need a backflow prevention device? To prevent cross-connection to a non-potable water source, a backflow prevention device is required for all fire suppression systems and irrigation systems. State Building Code or International Fire Code dictate when residential structures require fire suppression. Some developers offer fire suppression as an option. Stagnant water in the fire line can be siphoned back into the house water supply. It is required by Federal and State regulations that this device be tested when installed and annually by a certified tester to ensure it is working properly. 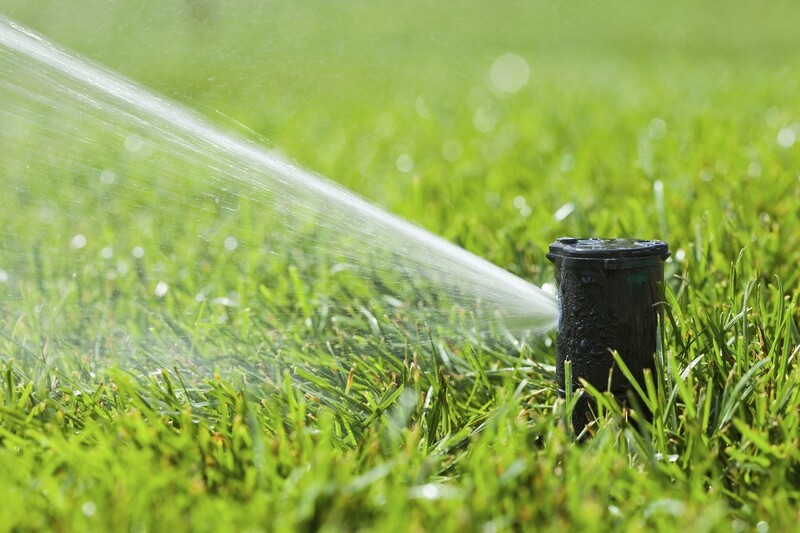 Dirty water from the lawn can be siphoned back into the sprinkler head and flow back into the house water supply. It is required by Federal and State regulations that this device be tested when installed and annually by a certified tester to ensure it is working properly. If the homeowner chooses to not use the irrigation system and avoid annual testing, the system must be cut and capped by a certified irrigation contractor or plumber. As a homeowner that has one or more of these connections, what are my responsibilities? Federal and State regulations, requires backflow preventers be tested when first installed and annually by a certified tester to make sure it is adequately working. The backflow test results must be provided to Loudoun Water. How often must a backflow prevention assembly be tested? Backflow prevention assemblies must be tested when first installed and annually. The test must be performed by a certified tester. Who is responsible for arranging for a testing of a backflow prevention assembly? Owners (with new structures, this is typically the contractor) are responsible for arranging for the testing of a backflow prevention assembly. Who maintains my backflow prevention assembly(ies)? Owners are responsible to maintain the devices if any signs are evident during the annual testing or between testing events. The device should always be operational to avoid cross-connection contamination of the internal house plumbing and/or the water service from the Loudoun Water main. What if my backflow prevention assembly fails the test? A notice will be sent to the owner of any building or structure that is found to have devices in violation of the Loudoun Water Cross-Connection Backflow Program. Devices found to be in non-compliance shall be repaired or replaced by the customer at the customer’s expense within 15 days of notification by Loudoun Water. What happens if I don’t have my assembly tested? The annual testing of a backflow assembly confirms from a certified professional that the device is operating properly. The risk of contamination potentially impacts the health of the people in your household as well as other Loudoun Water customers. Owners who do not have properly operating and maintained backflow prevention assemblies will be in non-compliance. Loudoun Water may disconnect and discontinue the water service to any customer who poses a risk to the drinking water supply via an unprotected connection. Who is responsible for submitting the sheet to Loudoun Water? The certified tester must complete the test form or online webform. If filling out a paper test sheet, the certified tester must provide the test results to the owner and Loudoun Water. Test sheet results can be sent to Loudoun Water by mail at 44771 Loudoun Water Way, Ashburn, VA 20147 or by email to backflow@loudounwater.org or by fax at 703-729-9494. Online webforms are automatically emailed to the owner and Loudoun Water. Garden hoses and hose bibs: If an insecticide or herbicide dispenser is attached to a garden hose, a pressure drop can cause chemical-laden water to be pulled from the hose and into the house water supply. Swimming pool or hot tub: If filled with a hose submerged in the water, pool water can be drawn back into the hose and into a house’s water supply. Avoid submerging a garden hose into a bucket, pool, spa, tub or sink. Always keep the end of a hose away from possible contaminants. Always have a backflow prevention device on your garden hose when putting on a spray or cleaning attachment. For more information about backflow preventers and water supply protection, visit the International Code Council's website.